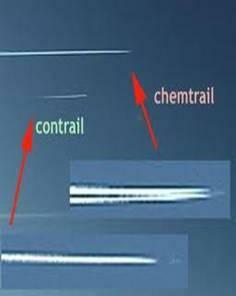 We need to stop the chemtrail spraying of Monterey County and the entire state of California ASAP! Chemtrails, Chemical trails or Aerosol spraying, are a very real threat to Monterey County, and humanity on a global scale and must be stopped. "I did not see planes yesterday (12/27/03) but the sky was very white rather than blue. Today the planes and trails appeared early before dawn. Now at 9am there is a lot of trails that turn into 'aerosol banks'. These planes started out over the Monterey Bay and lay down long trails that form clouds. Last week before Chirstmas there were many days when spraying was heavy all day and into the night. We must spread the news, peace, and love to all." The chemicals, known by their trade names as Checkmate OLR-F and Checkmate LBAM-F, have been sprayed via state owned airplanes in September and October in Monterey County California. These same aerial chemicals, despite their known health risks , were sprayed on two nights (11-8, 11-9) over the people of Santa Cruz County. The purpose of this spray is to control the mating habits of the light brown apple moth (LBAM). The reason the moth needs to be controlled is due to the possibility of 100 million dollars of damage (Realize that this figure is not a fact, but based on a government guess). The California Department of Food and Agriculture's own doctor acknowledges, in court documents, that aerial application of this chemical has not been tested. Let me repeat this so you understand, chemicals are being sprayed on young children, nursing mother's, people with asthma, lung problems, heart problems, the elderly, the disabled, the homeless and the chemically sensitive - and this chemical formulation has NEVER been tested on even a piece of dirt, let alone, humans. The newly designed Faroes Statement, the consensus of over 200 scientists, calls for a precautionary approach with respect to exposure of fetuses and children to environmental toxins. The consensus is that exposure of fetuses or children to chemicals can cause increased susceptibility to disease and disability later in life. In addition, the U.S. Environmental Protection Agency (EPA) has specific directives and codes that state that they should not experiment with pesticides on pregnant, or infants. It is a fact, since this aerial pesticide has not been proven to control the moth's mating habits and has not been proven safe to animals or humans, that this is an experiment. In Monterey, approximately 100,000 residents were exposed to untested chemicals to control the mating habits of less than 750 moths. 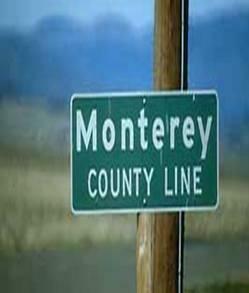 In Santa Cruz County, over 100,000 residents will be exposed between 11/06/07 ? 11/09/07 to untested chemicals to control the mating habits of less than 9,000 moths. This is not a one time application, but will continue monthly beginning again in February, for nine months, and then repeated for up to a total of three years. Again, this program designed to eradicate the moth at best will only control the moth's mating habits; it will not eliminate the moth. At worst, the program will be ineffective, cost tax payers millions of dollars, and cause permanent disability to residents and their pets. All this harm is over a little moth that has yet to cause even $1 of damage in California. Did you know that each aerial application of Checkmate OLR-F and Checkmate LBAM-F costs approximately $3.5 million and that $3 million is paid directly to the manufacturer Suterra, LLC of Bend, Oregon? The projected expense of this eradication "attempt" will cost tax payers over $70 million dollars just to spray Monterey and Santa Cruz counties the proposed 9 times. These monthly sprays are already scheduled for next year to begin in March. The California Department of Food and Agriculture has created a map which shows the spray area to grow and encompass various portions of the entire San Francisco Bay Area, click on the Central Coast ( www.cdfa.ca.gov/phpps/PDEP/lbam/maps.html ) . The United States EPA has authorized an emergency permit which could allow the CDFA to aerially spray the state of California until the year 2010. This Light Brown Apple Moth Eradication could cost California tax payers more than $500 million dollars when all is said and done, which is five times the projected amount of losses to the agricultural industry if the moth were to infest the state. Ridiculous and frivolous spending on untested, unproven and toxic methods of "attempted" pest eradication are unacceptable actions taken by Governor Arnold Schwarzenegger and the California Department of Food and Agriculture. This is not a state plan, but is a plan that is sponsored, endorsed, and largely funded by the EPA and the USDA . While the moth may cause an estimated $100 million of crop damage, one cannot put a price tag on the damage that Checkmate's chemicals cause to humans. In Monterey County, the first county in California to be sprayed with Checkmate OLR-F and Checkmate LBAM-F, documented affidavits show that citizens got sick, ill or suffered life threatening reactions to the toxic spray. One infant in the City of Monterey nearly died from inhalation of the experimental biochemical, and now has permanent lung damage. Dozens of women in cities throughout the Monterey Peninsula are reporting problems with their reproductive systems after exposure to the pesticide, including: sudden, severe and irregular menstrual cycles, extreme cases of tender and swollen breasts, and the recurrence of menopause symptoms in older women. Other side effects of both Checkmate OLR-F and Checkmate LBAM-F include: asthma and sudden breathing difficulties, chest pain, vomiting , lethargy, fatigue, and extreme mood swings. Some people have coughed up blood and have gotten bloody noses from Checkmate exposure. If you are familiar with chemical exposure, then there is something to note which is of great alarm. If you have ever smelled paint, bleach, or something toxic like that, it takes a significant and potent amount of the chemical to make one sick. It is not typical that such small and minute amounts of chemicals can cause such severe damage as described above. The explanation for the severe side effects, is that the chemicals are in miniature balls of volatile plastic called microcapsules; thus chemicals can be introduced deeply into the body through swallowing or inhalation of the micro-sized particles. It is as if this "agricultural" product acted more like a drug on humans, than as a pesticide on moths. Thousands of residents, including myself, have undocumented pesticide damage. I lived forty miles from the October-Monterey spray zone, and on the last day of aerial spraying, my entire family became ill. My daughter vomited. I had severe intestinal distress and could not eat for several days. I felt nervous and anxious, as if I had the caffeine equivalent of 10 cups of coffee. And for the first time in my life, I had yellow/red colored urine (I am now mostly recovered). I did not link these symptoms to pesticide exposure until days later upon talking and hearing about dozens of other Santa Cruz residents who were experiencing the same or similar symptoms, on or near the same day. Their symptoms included severe vomiting and yellow/red colored urine. Recently I learned that this exposure may not have been from pesticide drift, but a rogue plane releasing chemicals where it was not supposed to. Witnesses have recently linked the red color to the Checkmate formulations, seeing small red droplets where the Checkmate has contacted metallic objects. The questions I ask myself are: What type of chemical, in such small doses, causes such profound harm? Why does a chemical claimed to be harmless to humans by the EPA, the CDFA and Governor Schwarzenegger have a significant and severe effect on the female reproductive system? The aerial application of Checkmate OLR-F and Checkmate LBAM-F is designed out of the concept of miniature plastic sphere-like particles, generally the same size as the width of a human hair. They are called microcapsules. Each capsule is a biologically "loaded gun" due to its own chemical make-up and that of the pheromones held inside. Research indicates that the capsules are likely made out of a urea-formaldehyde polymer, the industry standard. This is an extremely volatile plastic which, under UV rays, degrades over a time period estimated to be anywhere from 30-70 days. These "agricultural" microcapsules have never been tested safe for humans. Thus, the life of these microcapsules inside our bodies is truly unknown as are the health risks of inhaling or swallowing them. Preliminary research on the microcapsules have revealed that they are made of a new technology, and that the large capsules are made up of a cluster of smaller 3-4 micron size capsules - a size of capsule that can be deadly to humans over the long term. Many of the chemicals used to make the Checkmate OLR-F and Checkmate LBAM-F products have been deemed harmful for human consumption, like butelated hydroxyl tolune (BHT). For example: on the label for BHT it says (in big letters) "Do not inhale this product. Dangerous to respiratory health." The symptoms documented by Monterey County residents can be directly correlated to the warning labels of BHT, and several other chemicals. BHT, is also known as DBPC, a dangerous pesticide known to cause sterility in men. Recently, Dole Food Company lost a lawsuit in which Nicaraguan Banana farmers were exposed to DBPC. In pending lawsuits, thousands of South American Farmers are claiming that they were harmed by exposure to DBPC. Within these microcapsules is an endocrine disrupter which attaches itself to estrogen receptors and forces the activation and constant production of estrogen to occur in the human body . This happens for men, women and children. This chemical is called 2 hydroxy 4n octyloxybenzophenone. The warnings surrounding the exposure to this toxic chemical can be directly correlated to the documented symptoms of women living within the spray zone in Monterey County. These are health concerns which CANNOT be overlooked or swept under the carpet. 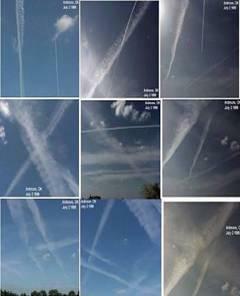 The entire state of California and its residents are at risk for severe short term reactions to this aerial spraying. 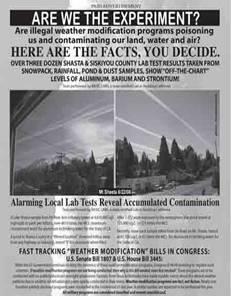 The projected long term effects of exposure to Checkmate OLR-F and Checkmate LBAM-F are unknown, undocumented and until now - not even a thought in the minds of those who are authorizing the spraying, and manufacturing the chemical. In addition to the horrible documented health effects of coming into contact with Checkmate OLR-F and Checkmate LBAM-F, there is a great chance that it will not even prove to be an effective investment. The EPA's own documents state that such a microcapsule cannot successfully release pheromone, and that "The studies show that only a small proportion of the microcapsules actually release any pheromone or only a portion of the total pheromone loaded into the capsule is capable of ever being released." Science and competent intelligence does not seem to be the methodology of this spray program; in light of such statements made, the technology cannot work. The EPA masks their "emergency approval" of Checkmate OLR-F and Checkmate LBAM-F behind the assertion that the pheromones in the products are safe. They then make the scientific leap and pronounce the entire pesticide is safe to be sprayed on residential neighborhoods, schools and water ways. This arrogant assertion by the CDFA and the EPA comes, again, without ANY LEGITIMATE TESTING. Under the "emergency exemption" (also known as Section 18), regulations allow the EPA to disregard the important 3% of "inert" ingredients. The "emergency exemption" allows this disregard even though many of those ingredients are not even inert, and are actually part of the "active" ingredients. The EPA then reaches the conclusion, "EPA believes use of these pheromone products, including aerial application over residential areas, presents negligible risks to human health and the environment ." This is another case of ridiculous, frivolous and blatant disregard for human health by Governor Schwarzenegger, the CDFA and the EPA. In addition to the aerial application which focuses on the agriculture industry, microcapsules are used in medical and military technology. In medical technology, microcapsules are used to time-release drugs into the body. The medical capsules are made out of a bio-compatible material that the body can easily absorb. In military technology, they can be used for chemical shields, or for experimental "non-lethal" weapons (That means the weapon does not cause immediate death). These thoughts do not leave one with a pleasant taste about how these microcapsules are being used in our neighborhoods and communities. The over 30 billion microcapsules sprayed over Monterey County last month are not bio-compatible; and yet children are playing in them, dogs are rolling around in them, and people are inhaling them. And the state continues to spray more communities as I write this. Like pollen, the miniature capsules can float in the air and they can stick to surfaces people touch. Imagine hundreds of synthetic microscopic plastic balls floating in the environment and then entering your nose, mouth, eyes and ears. Is this safe? What happens when those minuscule plastic balls are inhaled? We know what happens. They get lodged in your lungs , you cough profusely to expel them, and you go into respiratory distress. Some Monterey County residents report asthma attacks increasing, others report coughing so hard and for such long durations that they cough up blood. One healthy adult male in the sprayed Salinas area, who jogs five miles daily, now has developed asthma since the last two aerial sprays. For the first time in his life, he must use an inhaler to help him breathe. The local doctor he sees is out of inhaler samples, he's given them all away. These and other serious side effects associated with the aerial application of Checkmate OLR-F and Checkmate LBAM-F are being captured by citizen groups daily. Local doctors are refusing to document that their patients' symptoms have any relation to the aerial spraying. One doctor even told his patient (who was very ill from the spraying) that he would have to consult with this lawyer before discussing the matter further. An attorney representing the CDFA declared to a judge in Monterey County superior court during a hearing where a local environmental organization was suing the CDFA to stop the aerial spraying, that the CDFA has no intention on monitoring or following up on any of the health concerns or complaints that have been or will be filed in association with this aerial application. This is another blatant disregard for the health and well being of citizens. The CDFA can pay $3.5 million dollars to spray the residents of Monterey County, but cannot and will not spend a penny to assure citizens and residents that their health is of consequence to this program. This is repulsive! This is a crime! If you examine the CDFA reports ( www.cdfa.ca.gov/phpps/PDEP/lbam/maps.html ) you will see the cause for grave alarm. The LBAM aerial spraying program does not target agricultural fields with this agricultural technology, but rather targets mostly residential and urban areas that are great distances from crops and fields. 1) A biochemical never tested before is being sprayed on cities and not agriculture. 2) The chemical has never been tested on moths, animals, or humans for safety or efficacy. 3) An emergency exemption is used for a moth which is not dangerous to humans; nor does it cause significant crop damage, especially in California's warm climate regions. 4) Minute doses of the chemical causes reproductive effects on women, and likely men. 5) Some of the chemical ingredients have no material safety data sheets regarding human exposure, and samples of the pesticide have never been independently scrutinized except by the EPA. 6) The majority of the funding of this project comes from the USDA and Commodity Credit Corporation funds, these funds are managed by George W. Bush appointees. 7) Plans are being put in place to continue aerial spraying over other populated portions of California, including San Mateo, San Francisco, Oakland, and many regions in Southern California. The moth has a peculiar habit of living in cities. 8) The spray plan does not include all the moth finds, but rather mostly moth finds in cities. For a spray plan to work to control these insects, a buffer zone should be created around all the moths; such that none escape the spray, but this is not what is being done. 9) People who have been sprayed feel significantly impacted, physically and emotionally. 10) People who understand the situation respond to it, as if they are being attacked. 11) Preliminary research shows the microcapsule particles to be of a dangerous size. 12) Microcapsules are used to deliver drugs deep into the human body. For me, I felt like the airplanes spraying chemicals were attacking my very right to exist and be here. What do you conclude? Is the Government Negligent, Or Sinister? The urgent question that I must bring your attention to, is this: Is the government just the biggest, dumbest entity on the planet; where they haphazardly declare an emergency, which this is not one, and then over eagerly dose whole cities with untested chemicals? Is what we are experiencing part of a sinister plan to poison (or worse) a large populace, who more and more, is choosing an alternative and chemical free lifestyle? It is unclear how much the government is aware of this plan, but it is clear that the government goes out of their way to deny and hide all serious reported health claims. These may be scary questions to consider or you may find them amusing and absurd. But if you lived in the spray zone and experienced what we have, you might be asking yourself the same questions too. It is likely that both of these statements are true, that the government is acting in a negligent, and sinister way. Even if we do not know for sure the intention of the aerial spray, we must begin to acknowledge the great human tragedy that is now playing out before us. Over 200,000 fellow residents of California, USA, are being exposed, needlessly, to biologically active time-release chemicals. Pregnant women, infants, and the sick will be the most effected, because we know that even the most minute dose of the chemical can find its way into fetuses and affect them, and can find its way into human breast milk. These residents are being exposed to chemicals against their will. Some of them have had to rush to the emergency room for treatment. Others, like myself, have literally fled to protect their lives. Many businesses are and will be devastated as owners decide to move out if their business is affected. Many children's hopes will be dashed when their parents decide to leave the area and the only homes they've ever known, and many sick and elderly people will be torn from their own homes to avoid becoming gravely ill. There is a war happening right here, on our own soil; as citizens try desperately to assert their right to survive, to exist, and to do so without this obscene government intrusion. Today is a day to mourn. A day to mourn the ignorance and the violence perpetuated on our own soil. Today is a day to acknowledge the profound and sad fact that our government seems hell bent on turning this world into a war zone. Today is a day to mourn for the children whose growing bodies are being affected by this spray and for the countless people who were not even informed about what the spray means or when it will take place. Today is a day to mourn the liars in the government, who use our tax money to test chemicals on the public and then use our money, again, to pay lawyers to defend their negligent actions in court case after court case. Today is not a good day, but a day when we are being called upon to surrender our greater reality that includes all of our feelings and experiences, good ones and bad ones. We must look now on what we have become as a nation, and what we have allowed to happen. I sincerely believe that only through looking at the outer and inner experience and through accepting our own feelings, can we find a way to both make peace within and to take effectual action in the world to stop this violence once and for all. The Earth is in mourning. She wants to protect her children from harm so badly. The University of California, Davis confirms the danger of this aerial application. The authors state on page three that, "the microcapsules ranged in size from approximately 10 microns to 190 microns.."
Microcapsules circa the 10 micron size range fall under the category of "particle pollution " according to the American Lung Association (ALA). On the ALA's website they state, ""Particle pollution, called particulate matter or PM, is a combination of fine solids and aerosols that are suspended in the air we breathe... The ones of most concern are small enough to lodge deep in the lungs where they can do serious damage. They are measured in microns. The largest of concern are 10 microns in diameter." Particle pollution has well documented short and long term health effects, including: death from respiratory and cardiovascular causes, including strokes; inflammation of lung tissue in young, healthy adults; increased severity of asthma attacks in children; slowed lung function growth in children and teenagers; significant damage to the small airways of the lungs; and increased risk of dying from lung cancer . Children under 18 and adults over the age of 65 will be the ones most harmed by this chemical assault. Aerial application of chemicals, whether supposed safe or not, violates the very roots of our democracy and the free will of the people of the United States of America. What choices will residents of this democracy have left if they choose to not be sprayed with potentially deadly chemicals and are then denied that right? If you continue to stand by and let this happen, do you think your city and your county will be immune from the next senseless government incursion? Now there are court cases and legal presidents being set, which our government can use, to justify further hostile actions against its own people. You cannot continue to sit around and think that you will not be affected by the actions that our government is taking today. You must act because the people here need your help. Every action you take has the potential to help. Your friends and family need you. Your country needs you. This world needs everyone of you to stand up and say loudly and clearly that you have had enough and you will not take this governmental bullying anymore! Call Governor Schwarzenegger who supports the biochemical aerial spraying that harms children and tell his staffers that you order the Governor to immediately halt the spraying. Call your local senator and congressional representative. And I encourage you to call these California Senators. Federal offices will say that this is a state matter. You tell them that this LBAM eradication plan is funded by the USDA and that this is certainly a federal problem. Send them this link with this article, or post a summary of this article to their e-mail. They should be suing to stop this but rather have laid back in their support, claiming that pheromones are a safer alternatives than insecticides according to the information they are receiving from the EPA. Think Again, pheromones in microcapsules, never tested before on animals or people, could be deadly. The Sierra Club is being intentionally misled into supporting a substance that they know very little about. They are a lead environmental organization who usually has a fabulous track record in fighting against such atrocities as spraying chemicals. However, they have been ardent supporters of pheromone use, stating that the pheromone is safe because the EPA says it is better than traditional pesticides . Note that we were also told that they have not done ANY independent research into the toxic side effects of pheromones and do not have the resources to have their own scientists do any testing. Basically they are taking the EPA and USDA's word that it is safe, even though there are no tests available to show that it is safe or effective. Call them and let them know how you feel. And ask them why they aren't doing their own tests. Talk to your friends about this and other government abuses. If you can provide us legal, scientific, medical or other expert support contact the author of this article immediately. 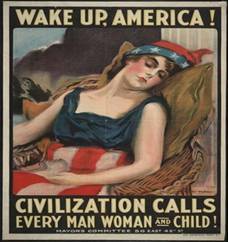 Write Articles relating to this topic or to human rights in the United States. Alert national and international media organizations, use your personal contacts to help the cause; spread this article. Feel your feelings, let your feelings be present. Pray, Meditate, Dance, Dream, Act for peace. Here are three published Checkmate ingredients, of particular concern, which have been and will continue to be sprayed upon humans and their environment. "Mutagenic for mammalian somatic cells. Mutagenic for bacteria and/or yeast" "The substance may be toxic to blood, liver, central nervous system(CNS). Repeated or prolonged exposure to the substances can produce target organs damage." There is no information or documentation about this substance or how chronic exposure to it can effect human health. That means we cannot be certain that even small doses are safe. This is a Xenochemical that binds to estrogen receptors not just in animals, but in humans. In other words, even in small doses, it signals people's bodies to take a specific biological action. Even small doses could affect hormonal functions by causing the constant production of estrogen. Prolonged exposure to endocrine disrupting chemicals is the cause of breast cancer. Telling you this truth, about this atrocity, is my prayer and hope for peace. I leave you with part of this press release by a strong opponent to the aerial spraying, California State Senator John Laird. "Of greatest concern to me is the notion that speculative economic impacts may be outweighing the need to protect human health. In Monterey County there are reports of more than 200 health complaints associated with aerial spraying. Yet, to date there is no evidence that reports have been analyzed, and a promised 'white paper' on the toxicological data on the pheromone product and the health complaints taken as a whole has not been released. In fact, in his October 26th letter to me, CDFA Secretary Kawamura indicated there are no plans to either study long term effects of the spraying or conduct an epidemiological analysis of the complaints CDFA has received. In light of the unresolved health complaints and unanswered scientific questions, the "precautionary principle" should serve as a guide. It has been described as a political and moral principle that says if an action or policy could harm the public or the environment, the burden of proof falls on the proponent of the action -- rather than on the public. It was determined in Superior Court that the County of Santa Cruz failed to meet the burden of proof required to obtain a temporary restraining order against the state. However, in the court of public opinion, the burden of proof ought to be on CDFA to prove LBAM-F and OLR-F are safe prior to spraying it on residential populations monthly for an open-ended period of time." Rami Nagel is a father who cares about the way we affect each other, our children, and our planet through our lifestyle choices. His health background is in hands-on energy healing, Hatha & Bhakti yoga and the Pathwork. www.curetoothdecay.com - Heal and Prevent Cavities with Nutrition! www.yourreturn.org - The cause of disease and the end of suffering of humanity. 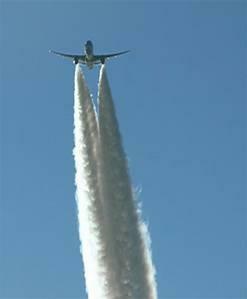 (NaturalNews) On September 9th, 2007 several planes hired by the State of California Food and Agricultural Department (CDFA) flying at an altitude of approximately 500ft sprayed the untested biochemical, CheckMate®OLR-F, on over 30,000 citizens in Monterey and other surrounding cities in California. This occurred without the permission of the citizens. 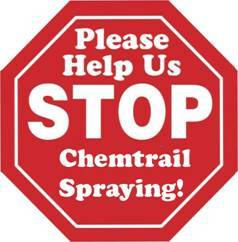 The spraying continued for three nights from approximately 8pm to 5am. About 1,500 pounds of biochemical were dumped on the cities. Many citizens did not even know what was happening when the planes were buzzing overhead. An 11 month old child nearly died from breathing difficulties. 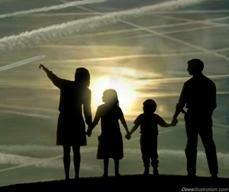 A six year old child developed asthma as a result of the aerial spraying. Over one hundred people signed affidavits stating that they got sick from the spraying. Hundreds of people had symptoms like; shortness of breath, headaches, dizziness, burning lungs, nausea, and muscle aches. The excuse for aerial spraying is not a deadly disease carrying mosquito, but a moth whose larva may eat some leaves of some plants; called the Light Brown Apple Moth (LBAM). The CDFA considers the moth an invasive species since it is from Australia. 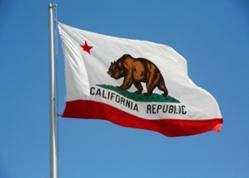 Yet, evidence suggests that the moth has been in California for many years, living peacefully. In response to the moth, the CDFA set up relatively harmless sticky traps, which have captured nearly every Light Brown Apple Moth in the Northern California region. Governor Schwarzenegger is a strong supporter of the declared emergency; the need to spray untested biochemicals on humans to stop the LBAM from destroying crops. 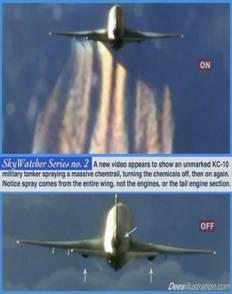 This aerial spraying violates several state, federal and international laws. It violates the right to personal safety given by the California State Constitution, the very document that creates the California government. It violates the Americans with Disabilities Act, which protects people with chemical sensitivities and other disabilities from discrimination. It violates the Federal constitutional right to personal liberty. It violates the EPA's laws against spraying pesticides on people. It violates human rights laws that say that human experimentation without consent is unethical and immoral. It violates criminal laws that claim it is a crime to poison children, or anyone else. It violates pollution laws to spray a toxic substance over plants, animals, and waterways. It violates laws against organized crime and it violates the very tenants of our democracy; a system of government designed to represent the people, not to poison the people to represent private agri-business interests. Recently, in a series of rapid fire events, the CDFA declared a state of emergency relating to the LBAM claiming that the moths are about to destroy a huge portion of the state's agricultural crops. The claim is that the LBAM will cause hundreds of millions of dollars of crop damage. Due to this supposed “emergency,” the CDFA claims it must immediately spray an untested biochemical to eliminate this threat as soon as possible despite the reported harms. Mind you, these moth's only travel within a 20-30 yard diameter of their birth place during their entire life. The state of emergency is a false declaration because the CDFA cannot produce any meaningful evidence that the LBAM can or would destroy crops and the sticky traps are effective at containing the moths. In Hawaii, the LBAM has been a help to the ecosystem by destroying invasive species and there's no evidence of crop harm for the last 100 years. The only emergency seems to be that the State of California, under Governor Schwarzenegger's helm, has an urgent need to spray as many humans; men, women, children, pregnant women, people with allergies, the elderly, and the sick, with chemicals. There is no sensible explanation as to why they want to do this, nor is there any explanation as to why they think that spraying pesticides on people is a good thing to do. Spraying chemicals, safe or not safe, on humans against their will is illegal. It is a crime! The Nuremberg Code, established after the horrors of World War II, prohibits human experimentation without the consent of the person who is being experimented upon. The state does not care about the over 200 health complaints, nor the laws they are violating, but rather cares about the commercial agricultural business. Trade partners with the US may not accept shipments of plants or produce that may have the LBAM. The CDFA has given various figures of the estimated crop damage that the LBAM will cause. Their estimates range from 100 million to 2.7 billion dollars. Now, these estimates are not based on any scientific survey but rather on their opinion and fears. Even if the harmless moth could cause such damage, it is a dangerous precedent to place the health and safety of United States citizens, especially infants and children, secondary to money. So the CDFA and Governor Schwarzenegger has determined that 100 million dollars of possible damage gives them justification to poison children with chemicals. In this case, economic factors have been given priority over liberty and human value. And the question I have been asking myself is - who is going to protect the children who will be sprayed? So what chemicals make up Checkmate OLR-F and LBAM-F Products? This has been the technical question many people have been asking. The specific details of the chemicals seem to be of less importance than the simple fact that these are chemicals. Synthetic chemicals do not have a place on our bodies without our permission. 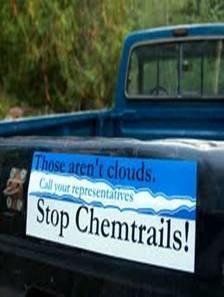 And they do not have a place in our children's bodies who have a much lower tolerance to environmental toxins! My understanding is that approximately 15-20% of the main biochemical is made up of a synthetically derived moth pheromone. This pheromone supposedly confuses the moths and disrupts their mating cycles. I am unaware of any scientific evidence to prove that the pheromone is effective at controlling the LBAM population. I supposed the CDFA's plan is to see how it works after a year or more of spraying. This is essentially biochemical testing. And the problem is that they are doing it on the public on a large scale, against the people's will. Due to the declaration of an emergency, the CDFA allow themselves to bypass the normal environmental review process meant to examine such questions. The concern with the Checkmate chemicals is not so much about the pheromone, but rather the pheromone distribution system. The pheromone is encapsulated in a micro-capsule (like a miniature pill) which the CDFA brags is biodegradable. What they do not tell you is that the capsule needs to dry out to biodegrade. In water environments (like your body), the pheromone stays encapsulated. The micro-capsule takes approximately 30 days to degrade. The full degradation occurring within 30 days is unlikely because Monterey and Santa Cruz Counties experience frequent rain and dampness from the Pacific Ocean. Thus, the people in the areas that are sprayed will be inhaling and touching miniature pills. Once in their bodies, the capsule will likely slowly degrade causing moth pheromone to be released directly into people's bloodstream. The micro-capsule is made out of what are falsely called “inert” ingredients. Again, the EPA brags that these “inert” ingredients are mostly ionized water. However, they forget to tell you that there are also two known dangerous toxic substances in the inerts - tricaprylyl methyl ammonium chloride (TMAC) and polymethylene polyphenyl isocyanate (PPI). The breathing problems and asthma-like conditions are known side effects of PPI. So how is the state legally able to spray it on people? The way they illegally avoid the law and lie to people, so that people will be lulled into a stupor, is by saying that PPI, along with other ingredients, are actually not in the pesticide. Well, this is about 5% true and 95% a lie. Say you are baking a cake; you use flour, sugar, some eggs and other ingredients, and you bake it. One could argue that, in the final cake product, there is no flour but rather a new chemical compound called cake. In the same way, when PPI and other ingredients are processed, they meld and bind together and change their chemical form. They no longer resemble exactly their original substances, just like cake does not look much like the flour it was made of. When you examine the final biochemical, you will see no PPI but rather some new toxic substance. Since there is no independently verifiable evidence that these new chemical compounds are toxic or not, other than 117 signed affidavits of people who got sick, and since there is a so-called “emergency”, no thorough testing needs to be done. It is a devious way to avoid the law. The end result is that we must “trust” the EPA to say the chemicals are safe. It's hard to trust the EPA because, for example, with water fluoridation the entire employee's union at the EPA came out to say that water fluoridation is dangerous and harmful while the official position of the EPA is that water fluoridation is a good thing. It also becomes more difficult to win a court case against the aerial spraying when you cannot get any evidence that the chemicals are dangerous because you are not allowed to independently verify anything that the EPA alleges. Strangely, the CDFA came out with precautions for this “non-toxic” chemical. Recommendations such as; to close all your windows during the spray, to stay inside, to hose everything off in the morning before you touch it, and to not touch anything that is covered with the chemical residue (anything outside) were encouraged. These warnings are good ideas since the micro-capsule can easily be inhaled, stays stuck on things, or remains in the air. I recently checked the CDFA website looking to quote this document and they had removed all warnings about the chemical, claiming now that it is totally safe. Perhaps this was spurred by the CDFA Secretary of Agriculture A.G. Kawamura's concern that citizens would waste too much water following the CDFA's instructions to wash the chemical off of things before touching them. It is eerie how A.G. Kawamura is concerned about saving water and our environment, but is totally oblivious to the fact that hundreds of people have been poisoned due to his aerial spraying efforts. “Keep Out of Reach of Children"
"Caution: Harmful if absorbed through the skin. Causes moderate eye irritation. Avoid contact with skin, eyes, or clothing. Harmful if inhaled. Avoid breathing vapor or spray mist.” The criminals at the CDFA claim we should not worry about this warning label. According to the CDFA's toxicity theory, since the biochemical is going to be inhaled and touched in smaller doses, this warning is no longer necessary as it refers only to those who handle the chemicals." Due to this premise, the CDFA insists that the 117 documented complaints of illnesses are psychosomatic and are not caused by the Checkmate. They continue to spray without thoroughly investigating these health claims. Infants cannot get psychosomatic illnesses because they are too young to make things up like that. The CDFA are hypocrites because when a doctor reports that someone is sick to the CDFA, and if that person had recently ingested certified raw milk, they automatically shut down the milk business even without evidence that the milk caused the illness. (The milk, in this case, is never the source of illness because the cows are healthy.) On one hand, they overly penalize raw milk producers for things that might cause illness and on the other hand they ignore cases which definitely cause illness by their own hands. Spraying chemicals on people is a crime, safe or not. This is an outrage and this is sickening. It used to be easy to turn a blind eye to government corruption because we could avoid it. You can avoid vaccinations by claiming an exemption. You can avoid polluted soaps and shampoos by buying natural ones, and you can avoid pesticide ridden foods by choosing organic. (In case you are wondering, strawberries and other produce sprayed with Checkmate will still be certified organic by the State, so you won't know you are eating pesticide ridden produce.) But the citizens of Monterey, Santa Cruz, Seaside, Los Lomas and other communities consisting of over 100,000 people who are scheduled to be spray bombed, some beginning today for up to six nights in a row, do not have the choice. Their personal boundaries have been violently violated by the CDFA. Now, you cannot turn a blind eye anymore to what the government does. We need to acknowledge that these things are wrong, whether we can avoid them or not. When we do not stand up against evil, we affirm it. When we say what is happening is smart, we affirm that the evil doer is good because we do nothing to stop them. I encourage you, in every way possible, to not sit back here. When you see someone doing wrong, whether it is a relative, a neighbor, or the local government, speak up. We need to stop this juggernaut. It is truly a terrifying experience because I have a pregnant partner and a young child and I have to move away from here to avoid being sprayed, to avoid being force vaccinated with synthetic moth hormone. The last bastion of hope is that the Santa Cruz City Council narrowly voted to sue the criminals doing this. It is unclear whether their lawsuit will be effective. The name for the biochemical Checkmate has two meanings. First, to check (stop) mating. Although there is no reliable evidence that it will check mating, for all we know, it could cause the moths to mutate and mate more. The second meaning of checkmate is a position in the game of Chess. This is a position when you have your opponent trapped no matter what move they do. They cannot win so they must resign and lose the game. Ironically, it is not the moths who are in the position of checkmate, but rather the citizens of Monterey, Marina, Pacific Grove, Sand City and Seaside (cities near Carmel and the famous Pebble Beach Golf course). These citizens must literally run, and escape, for the sake of their children from their own homes because a toxic cloud of government corruption is about to rain down upon them. It is these citizens who are in the position of checkmate. The difference here is that losing can mean a chronic disease, illness, and perhaps worse. What you can do is call your state and federal representatives and encourage them to push through laws that prohibit aerial spraying. Encourage California State Senators and Federal Representatives to engage in a criminal investigation because poisoning people, children, and the elderly is a crime. Just because the people engaged in this work for the government, it doesn't make them immune to our laws. Support 1hope.org , and the City of Santa Cruz , to fight back. Spread this news. Let's tell the whole world the truth about civil rights in the good ole' US of A. If enough people know, this cause will be greatly advanced. Also, process your feelings about this, the anger, the rage, the terror, and the hatred it brings up. Feel how you want to protect those in the aerial spray path, that inner voice speaking within you saying, “NO! this is wrong, it must stop". May the criminals face the real consequences of their crimes and be brought to justice. And may the people of Northern California be protected from untested synthetic chemicals forced upon them. See below for more information, action items, and pesticide ingredients. The best thing you can do is contact Governor Schwarzenegger, even if you are not a California citizen. Governor Schwarzenegger has the power to stop this. Right now, he clearly supports the program claiming such aerial spraying is necessary. Tell him you are opposed to his need to spray toxic chemicals on children to stop a harmless moth. www.preconceptionhealth.org - A Program for preconception health based on indigenous wisdom.